While the iPhone ‘sans cover’ feels much better in your hand, it’s not worth getting a few scratches on the back of your sleek phone. 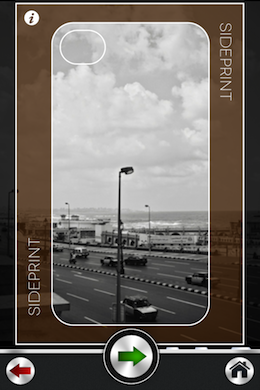 Rather than buy a standard case that looks the same as everyone else’s, with CaseApp, a free download in the iTunes App Store, you can design your own personalized cover, in a matter of minutes. The app is the brainchild of Dropico Mobile, the Israeli app developers behind Facebook Photo Importer (reviewed here) and Google+ Photo Importer (reviewed here). The entire process takes place on your phone, from customization to ordering. 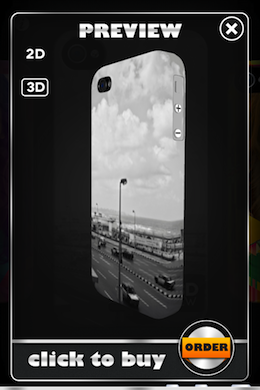 CaseApp makes it easy to choose any photo on your phone, and preview the case, either using the photo as the entire case, or incorporated into a set of over 20 pre-designed themes. Our personal favourite has to be the one that looks like an old-school Nintendo Gameboy. Pinch, zoom and move the image around until you’ve got it exactly the way you want, and you can then preview the case in either 2D or 3D. The app will let you know if the image isn’t large enough to use. The case, which is made of thick coated plastic, will set you back about $30, plus shipping and handling. Thanks to Dropico Mobile, The Next Web readers can take advantage of a special offer available for the next few days. Use the promo code caseapptnw30 when checking out, and you’ll get yourself a 30% discount on your buy, from today until May 25th. Shipping takes about 3 to 5 days. 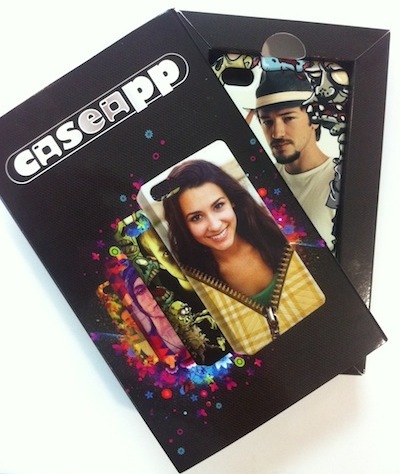 CaseApp makes it easy for iPhone users to add a personal touch to their phones, so rather than hunt around for the perfect case – why not just design it yourself? Read next: The Obama administration calls Twitter's adoption of Do Not Track "an important step"